Want to know why you feel so lousy? 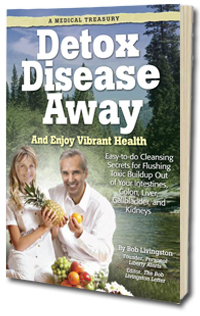 There's a 90 percent chance parasites are freeloading in your body, stealing life-giving nutrients and wreaking havoc on your health. And at the same time, dangerous toxins are hiding in the water you drink... the air you breathe... the food you eat... and the medicines you take—increasing your risk of serious, even FATAL, diseases.